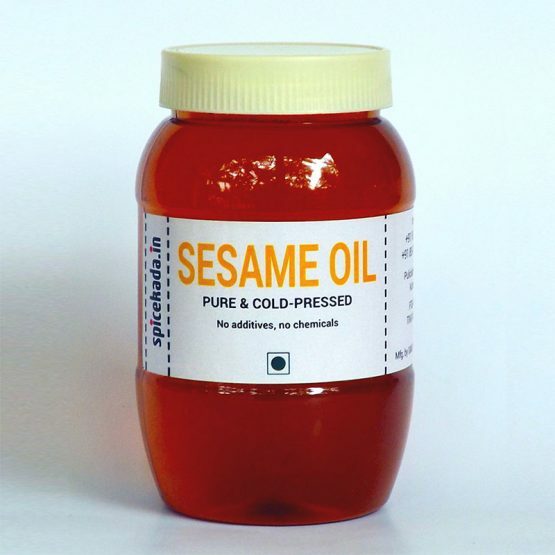 Our sesame/gingerly oil is, along with a small amount of palm jaggery, cold pressed and unrefined, only filtered, in order to retain all the nutrients. Ideal for cooking, especially pickle making, and for applying to skin. Sesame oil should be used within 6 months of manufacturing. The oil can be stored at room temperature or in the refrigerator. Either way, it is essential that the lid is tight, and that the content is not contaminated; using unclean kitchen utensils and allowing, for instance, water into the jar, will reduce the shelf life of the oil.